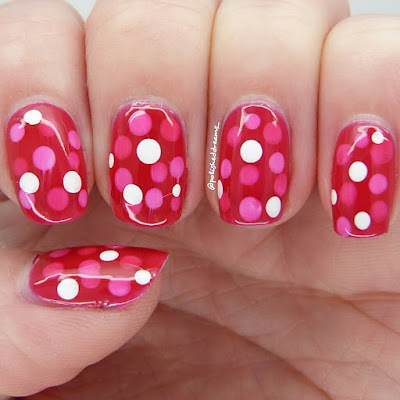 Hi all, today I've got some very simple nail art to show you using a polish from the recent Barry M releases. I've only swatched them (which you can see in my blog post here) and used them for this mani but I already really love the Lolly Gloss polishes! I said in my swatch post of these that I was going to do a pond mani with them and that's exactly what I did! 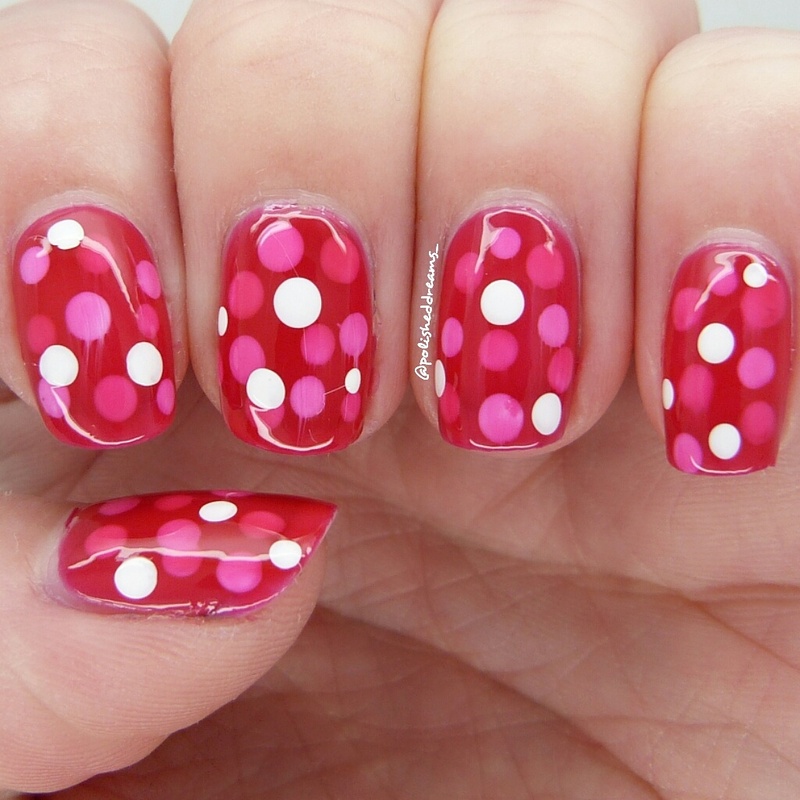 I went for some simple spots so that everyone can see how easy it is to create good nail art with these polishes. 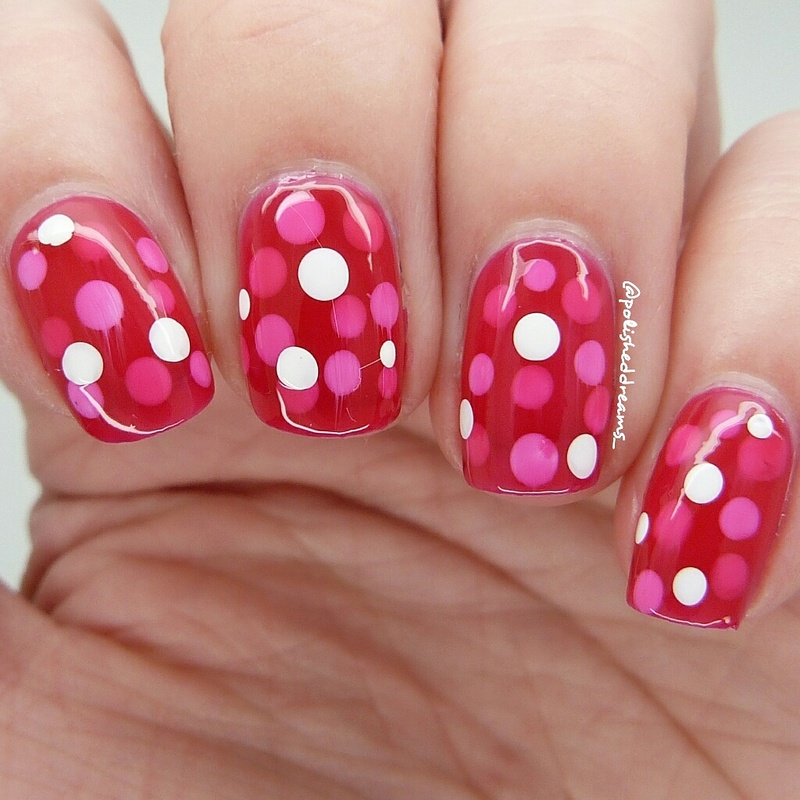 I used Pink Candy and did one coat of that before doing a few spots on top with Cotton. After letting those spots dry I did another coat of pink, another lot of spots and then another pink coat. I did a few more dots on the top and then topcoated it all. The Lolly Gloss polishes are very shiny by themselves but the final lot of spots just looked to stand-outty if you get me? I don't really know how to word that well haha! I'm pretty happy with how these turned out but of course I manged to ruin a simple mani by being impatient and smudging the second lots of spots on a couple nails! But hey, they're not too bad. I have soo many ideas for these polishes, it's just unfortunate that Barry M timed the release of these with deadlines/exams so I'm a bit too busy to play for now. Hope you enjoyed this post! 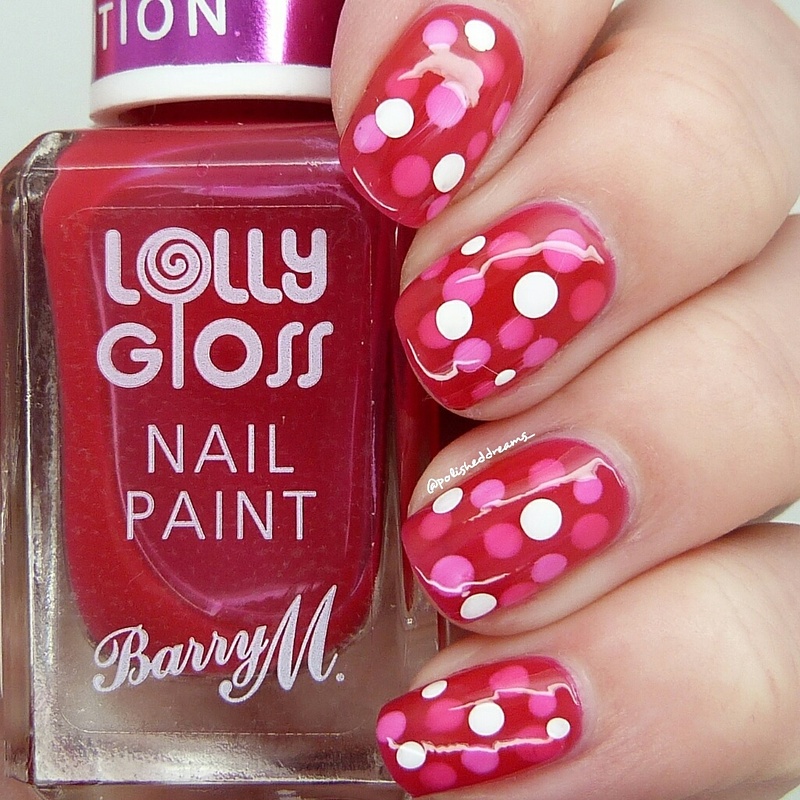 What else do you think would be good to do with the Lolly Gloss nail paints?